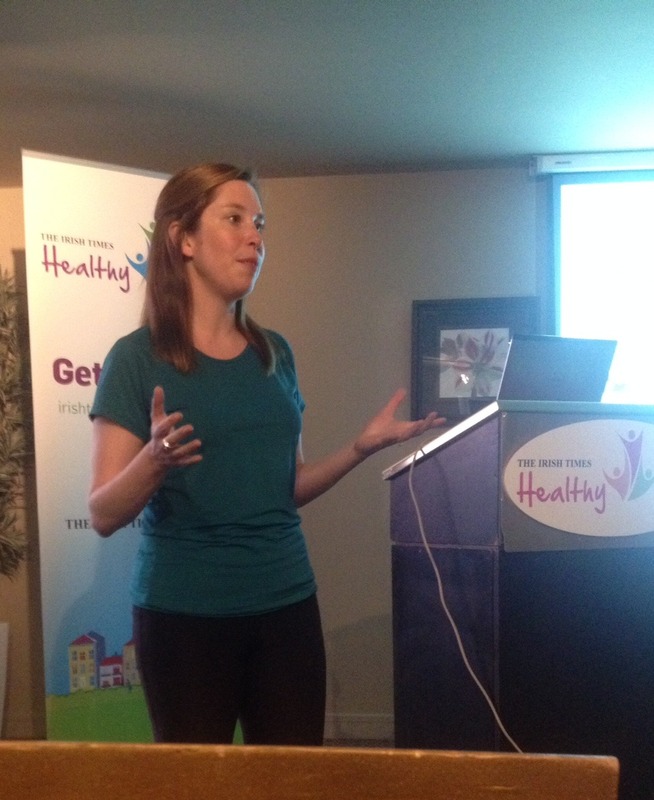 Mary from ForgetTheGym delivers seminars, corporate workshops and lunchtime talks all around Dublin City in offices, charities, clubs and private events. Mary has worked with clients such as Accenture, Deloitte, Statestreet, JP Morgan, PwC, Temple Street Hospital, Virgin Media, The Irish Times Healthy Towns Initiative and many more. The following talks can be delivered to corporate and private groups. The sessions are generally quite relaxed and interactive. Where appropriate a few exercises can be included in most. 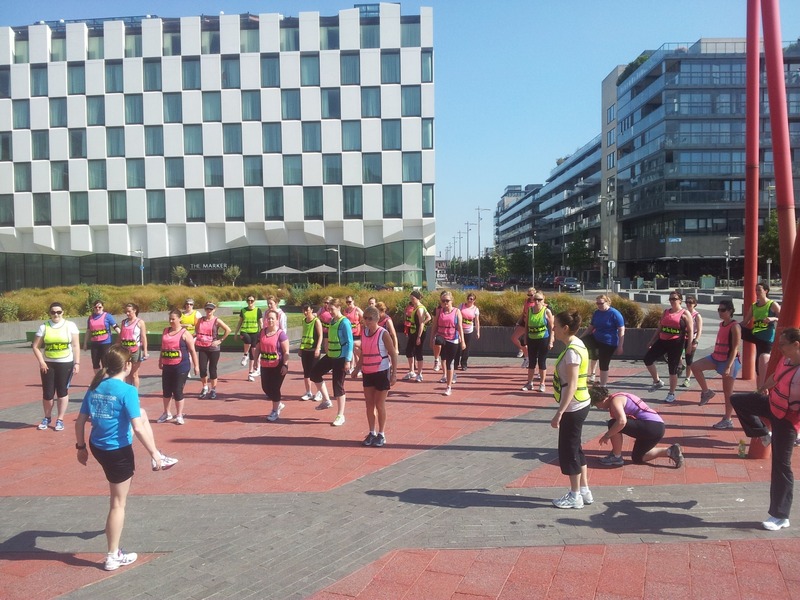 The sessions can be tailored to the fitness level of attendees. There is no running in any of these sessions – 100% classroom based. Mary regularly delivers the following half day workshops to private groups in a classroom environment but also using outdoors for running and exercise. These workshops can be also delivered over a series of 1 hour sessions. Training for your First Marathon 42km (programme of 3 half day workshops over 16 weeks). 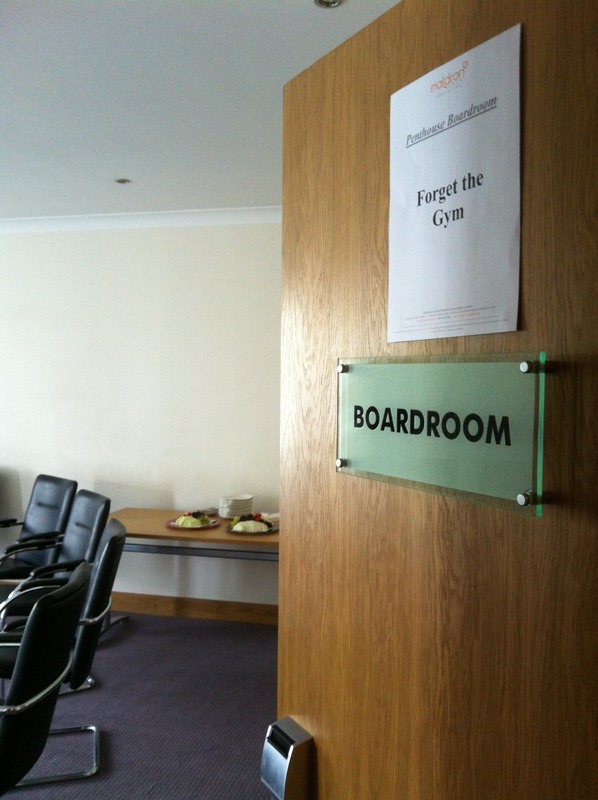 Many of the workshops can be amended to be delivered across a series of weeks/months rather than a half day workshop. Here are a few examples of how this could work. 16 week programme with weekly/bi-weekly 1 hour sessions on relevant components of training. (see below for content) At each session, a logical check in point for questions, next phase of training and motivation/support. 12 week programme with weekly/bi-weekly 1 hour sessions on relevant component of training. At each session, a logical check in point for questions, next phase of training and motivation/support. 6 Week step by step programme of the Chirunning Technique. This programme would covering new aspects each week and incorporate regular video analysis of students. (outdoors and indoors). Extras delivered in programmes: Mary offers full training plans and online support and guidance to workshop attendees, handouts, supporting documentation and a forum to discuss questions over the training period. 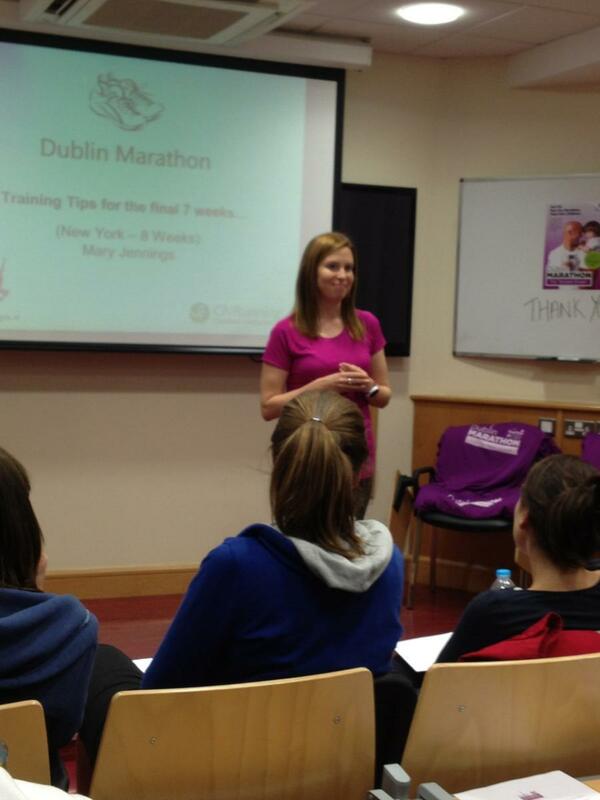 Marathon Coaching Programme: This 16 week, 3 workshop programme is suitable for anyone attempting their first marathon. The workshops are spaced out across the 16 week period. Contact Mary directly for details on availability and pricing. Check out the testimonials from previous clients.